Our vision is to respect Mother Earth and always be a destination where people discover Authenticity and Awaken their Dream. Our philosophy, inspired by our people, is to offer genuine hospitality in consistency with excellence and harmony. Our values are quality, openness, innovation, individual responsibility, fairness, respect for the individual, passion, teamwork, flexibility and pride. Petra & Fos Boutique Hotel & Spa comes out of the calm waters of Oitilo’s gulf at the rocky southern foot of mount Taigetos. The hotel operates under new ownership and is under continuous upscaling. It has been built and renovated with absolute respect to the traditional architecture and is uniquely integrated into the natural environment. Frugal luxury characterizes every detail and invites the guests to discover the wild beauty of Mani, revealing an authentic experience. The hotel has 23 fully equipped rooms and suites, of high quality and elegance in decoration. All rooms offer spectacular see view for a memorable stay with the coziness of a modern luxury hotel. 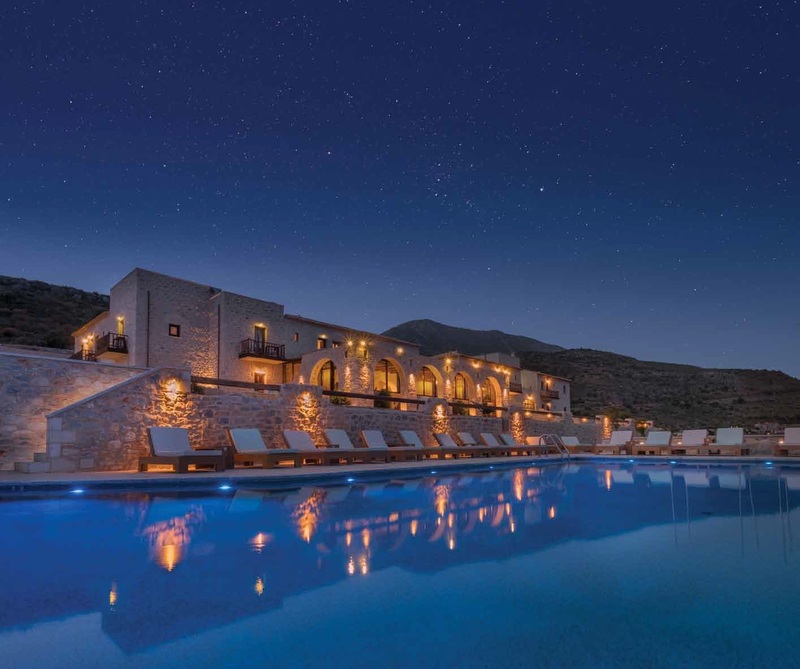 Petra & Fos Boutique Hotel & Spa addresses sophisticated guests who seek discreet luxury and comfort, offering high quality, exclusive and personalized services in an idyllic setting. The hotel staff will help you explore our genuine hospitality, making your impeccable and high quality stay memorable.